Quirky and friendly with red-roofed villages, majestic mountains, and glorious beaches, the Balkans’ Montenegro is living proof that good things really do come in small packages. 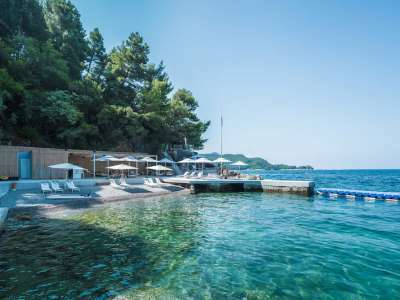 Over the years the allure of Montenegro has remained largely undiscovered and its beauty has only ever really been enjoyed by locals and visitors from neighbouring Balkan states. Today however, things are changing in Montenegro and it is quickly becoming the place to see and be seen in on the Adriatic. Less than 300km from top to bottom, Montenegro boasts a genuinely unspoiled terrain. The crystal clear water along the coastline glistens under the warm sunshine whilst the seemingly endless pristine sandy beaches contrast beautifully with the limestone cliffs. The result is simply spellbinding and the scenery stunning. No wonder Sophia Loren fondly refers to Montenegro as “the most beautiful fairytale of my childhood”. With its glorious mountain backdrop, clear blue waters, and medieval and Venetian-era settlements, the butterfly-shaped Bay of Kotor is undoubtedly the jewel in Montenegro’s crown. 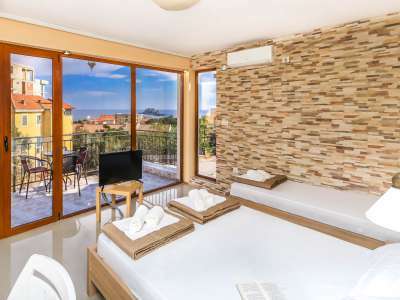 More commonly known as simply Boka, this impressive bay is home to some of the country’s most well-loved and beautiful cities including, Kotor, Perast, Risan, Herceg Novi, and Tivat. At over 2000 years old, the walled town of Kotor, which nestles on the edge of this majestic bay, was once considered to be Europe’s best-kept secret. Small but full of charm, Kotor’s medieval streets are home to a veritable melting pot of museums, churches, cafe-strewn squares and Venetian palaces. As dramatic as it is delightful, past and present come together in Kotor and combine in perfect harmony. Come nightfall, Kotor’s spectacular walls light up and the streets come alive with bars, live music, and castle-top clubbing. If you’re seeking romance, ambiance and living history, then Kotor will certainly be the place to steal your heart. One of the most beautiful destinations within Boka, Perast can be found on the opposite side of the bay to Kotor. You might be mistaken for thinking that you are in Italy as it looks as if a piece of Venice has floated down the Adriatic to form this divine town. Home to 16 churches and 17 formerly grand palazzos, Perast is most famous for its two picturesque islands, Gospa od Škrpjela, or Lady of the Rocks, and the Island of Saint George. Lady of the Rocks is a manmade island created by two sailors who discovered an icon of Madonna and Child resting on a rock. Vowing to build a church here after considering their discovery as a miracle, the sailors began to drop stones around the icon, slowly creating an islet upon which they built a small chapel. The tradition of dropping stones here is still very much alive today and even forms part of one of Europe’s oldest sailing regattas, the Fašinada. The Perast coastline is home to many small yet wonderful fish and seafood restaurants and although known as the quietest town in Boka, this UNESCO World Heritage Site is certainly a must-see. Tivat is located in the central part of Boka and is home to the new and impressive multi-million pound Porto Montenegro marina. Home to high-end waterfront residences and luxury shops, this exclusive marina and yachting paradise is increasingly becoming the ultimate superyacht sanctuary of the Adriatic coast. Porto Montenegro is more of a city in itself offering everything a discerning visitor would want. There is an elegant nautical village teaming with designer stores and boutiques as well as many bustling restaurants, bars, and even a new Veuve Clicquot champagne bar. Platinum rated, Porto Montenegro Marina has 450 berths and can accommodate the largest mega yachts in the world up to 800 feet. The Yacht Club is without a doubt the place to be seen and members can take advantage of the incredible 200-foot infinity pool, Italian poolside restaurant, 20-seater lounge area, and outdoor theater. If that wasn’t enough, when the evenings draw in, there is a sumptuous seafood restaurant with a rooftop bar as well as the private Platinum Nightclub. Easily Montenegro’s most visited destination, beach lovers will certainly want to head to Budva as its 21-kilometre long coastline is brimming with picturesque beaches, which are among the most beautiful in the world. The most popular include Jaz, a favourite for campers, Mogren, a small beach with extraordinary sand, and Guvance, perfect for those wanting to catch a brilliant sunset. The city itself has two parts: Old Budva and New Budva. New Budva is considered the business district and is full of modern buildings, business hubs, and shopping malls as well as entertainment complexes, cafes, and restaurants. In contrast, Old Budva is the part of the city surrounded by thick stone walls which boasts an ancient historical center. Among the most famous sights are the many churches and cathedrals including, Church of St Ivan, Church of St Maria, Church of St Sabas and the Church of Holy Trinity. The Montenegro property market is an interesting one for expats, whether you are looking to relocate, or simply invest in a second property. Here, there is the potential of finding that ideal combination of discounted prices now and appreciating value in the future. The property market is characterised both by historic properties of charm and character, as well as new housing developments. Over recent years, an increase in domestic wealth together with a heightened interest from overseas investors have sparked a boom in the sale of land for residential and hotel development and developers are quick to take the opportunity of tapping into a virgin market, identifying long term potential in both the leisure and real estate sectors. With Serbians and Russians historically the main investors in Montenegrin property, over the last two years there has been a much stronger interest from the European Union with local agencies suggesting this is down to the Montenegrin membership of NATO. Whilst still politically debated, from an economic view NATO membership is critical for the development of the real estate market as it means the state is considered safe to invest in.